Chelsea's wage bill is the biggest in England - Worried now this season? It was revealed yesterday that Chelsea's wage bill is the biggest in England and I wanted to get your opinions on the focus it received. Has it received that much attention because of our league position? Having moved through the most successful period of our history over the last decade, there was always going to be a requirement to rebuild at the club. 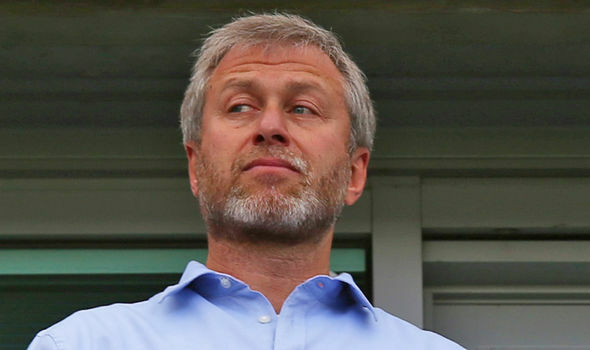 Compared to before Roman Abramovich took over, Chelsea are now classed as one of the biggest clubs in Europe with the successes we have had domestically and in Europe with the highlight being winning the Champions League. "Chelsea Football Club's wage bill shot up £25m in the year to 30 June 2015, its latest Companies House filing shows. It means Chelsea's wage bill was the highest of all the Premier League clubs at £215.6m, compared with £190m a year earlier. Manchester United came second with a £203m wage bill, Manchester City third on £193.8m and Arsenal fourth on £192m. Chelsea won the Premier League title and the League Cup in 2015. The bill does not split out the amount spent on player wages from backroom and ground staff. The club's form has dipped dramatically this year, with the champions lying in 14th place in the table and the task of making it into the top four seemingly impossible. The club's accounts also showed it made a pre-tax loss of £22.6m compared with £19m profit a year earlier. Chelsea said turnover fell £5.5m to £319m because of lower Champions League broadcasting revenues after the club went out of the competition in the knockout stage on the away goal rule after drawing 3-3 with Paris Saint Germain." The investment made last summer in Costa and Fabregas in particular was substantial with the transfer fees paid and their wages. Plus also new player contracts have to be considered with Eden Hazard in particular now being paid a reported £200,000 per week (imagine what you could win with that amount of money, especially with this list of online casinos!). As the report states, last season's early exit from the Champions League was a major disappointment and has hit Chelsea financially of that there is little doubt. The further you progress in the competition the bigger your share of the financial reward at the end of the competition. It's now imperative that Chelsea beat PSG this time around and advance as far forward as possible bearing in mind it's more than likely going to be our only hope of Champions League football next season. Right now, in light of this report, I am concerned as to what happens with us between now and the end of the season. If we pull our act together and win all of our games in that period there is a chance we could grab fourth place. If we do not, then we could see an exodus of players in the summer which would bring down the wage bill but at the same time would see us lose out on the potential value of our star names.